The second stage of the battle royale known as the Sekirei Plan is underway. Tokyo has been closed off; no Sekirei or Ashikabi may leave. Minato Sahashi and his harem of Sekirei must now prepare to fight new battles as changes to the rules are put into place. However, not all groups will return to the battle: some Sekirei are loved very much by their Ashikabi partners, who would rather forfeit the prize than see them perish. In the midst of the action, someone close to Minato may be more involved than he had ever imagined, and threats lurk around every corner. 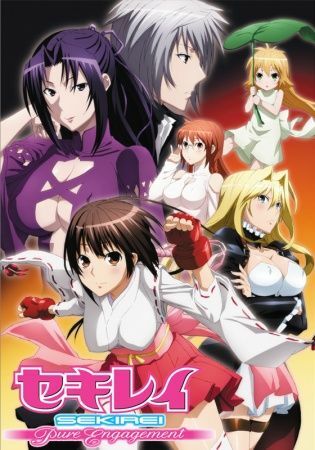 There are even rumors that the "Single Numbers," the most powerful type of Sekirei, have entered the fray. In the eyes of the "Game Master" Minaka Hiroto, everything is proceeding according to plan.